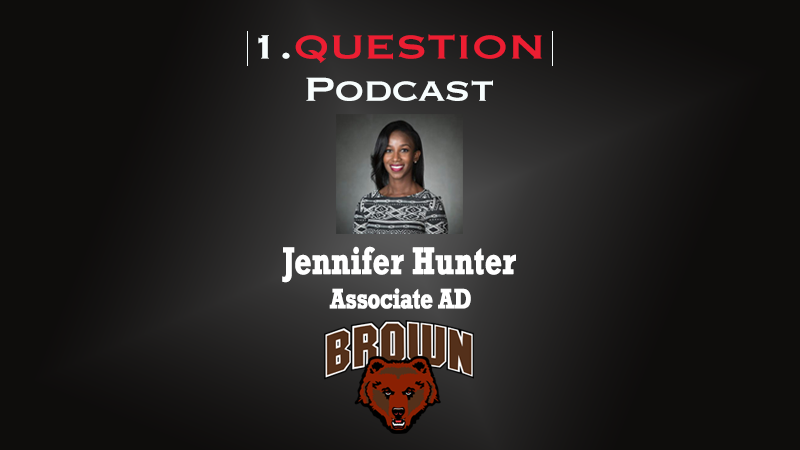 Jennifer Hunter, Associate AD for Diversity & Inclusion Initiatives at Brown University, visits the 1.Question Podcast to discuss the aspects needed for a successful Diversity & Inclusion action plan on campus and in athletics. Hunter recently joined Brown Athletics to help develop and implement its plan within the framework of the University’s campus-wide initiative. She also discusses the education process needed when looking at the significant difference between the two terms, diversity and inclusion.